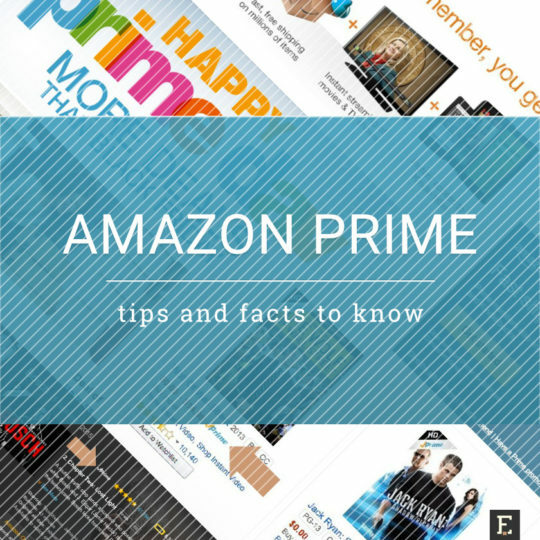 Read this extended list of facts and tips before joining Amazon Prime. Amazon Prime is a subscription-based membership program with a growing number of features. 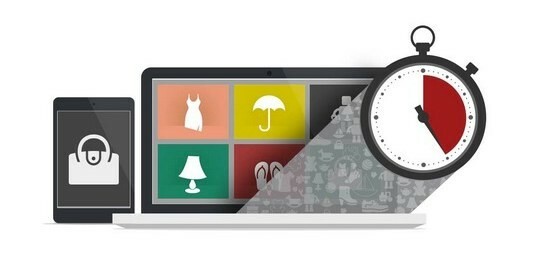 Prime is Amazon’s vision of the online shopping in the near future, and it’s very promising. Wouldn’t it be awesome if you had comfort of ordering a Christmas gift without fear it won’t get delivered on time? Or had a possibility to watch a movie completely free? Or had a chance to know about upcoming deals before other customers? For $119 per year or $12.99 per month, members get several benefits that are meant to make using Amazon a more seamless experience. get first access to deals. Amazon Prime runs in a few countries. 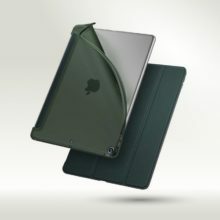 The features differ from country to country, so we’ll describe the system in the most advanced market – United States. If you have any comments and questions, please use the comment section below to share them with our readers and us. What do Amazon Prime members get? 60 thousand movies and TV series free to watch. Let’s take a closer look at the most attractive Prime services. 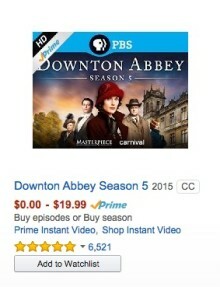 Most of the Amazon customers choose Prime just because of this single – and great – feature. Without Prime, you’ll have to order at least $35 of eligible items to get them shipped for free within four business days. When you are a Prime member, you will not pay for shipping of over 20 million Prime eligible items. Obviously, the products that are eligible for free shipping are carefully selected. 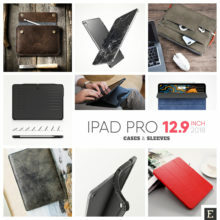 Don’t expect a $0.01 Kindle case cover from a third-party seller to be Prime eligible. There are two options of the free shipping via Prime. Customers with addresses in the contiguous U.S. will enjoy Free two-day shipping. Not all speeds are available for all items and all addresses. You won’t get magazine subscriptions or personalized gift cards, for instance (check out other details here). You can get the items delivered even quicker. Free same-day delivery is available in 14 metro areas (you can check your zip code here). 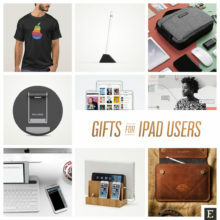 Over a million items are eligible, but your order should be over $35 to get it shipped for free. Savings on shipping fees are considerable, but Prime members will have to pay for shipping in some cases. 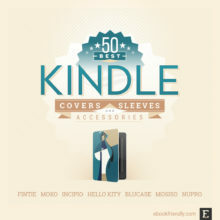 Below you’ll find a comparison of shipping costs of a book-style Kindle case by Fintie, worth $14.99. Besides free shipping, an offer for digital content also seems very attractive. You can access Prime eligible movies, songs and ebooks completely for free. However, unlike 20 million physical products qualifying for free shipping, there are only about 2.5 million digital products that are Prime eligible. There are three categories of digital Prime services. Prime Instant Video is a collection of free-to-watch movies and TV series. You can start watching a video with a click of a button. Amazon claims that there are over 40 thousand Prime videos, but when you start browsing, you’ll see a list of some 20 thousand. The selection of eligible videos is not impressive, so make sure to browse the titles to find out whether any movie you want to watch is included in Prime before you join the program. If you are more into music, you can make use of Prime Music. It’s free access to songs and curated playlists. You can listen to them online, or download to a connected device for offline playback. There is one thing you need to know: downloaded music can only be accessed within the Amazon Music application and can’t be exported. Prime Music offers 1.5 million songs. It’s not enough for a serious music lover. To compare, Apple Music gives access to over 30 million songs. There is also free access to ebooks, via Kindle Owner’s Lending Library. I’ll describe it later in detail, but in short you can borrow one eligible Kindle book per month, with no due dates. Prime is built on exclusivity. Prime members can expect better conditions when accessing deals offered by Amazon. sales events on MyHabit – deals featured on Amazon-powered designer fashion online store. Amazon doesn’t guarantee you will be able to buy a particular item. What you get is a 30-minute time ahead of all non-Prime customers. The second thing is not about early access but exclusive access. It’s called Prime Day. Launched in summer 2015 it was a bigger deal event than Black Friday. We’ll cover Prime Day later in this post. Referring to Black Friday, Prime members will still have early access to Lightning Deals during the event. Having in mind that the number of discounted items is limited, claiming the product 30 minutes before the rest of customers is a pretty strong benefit. 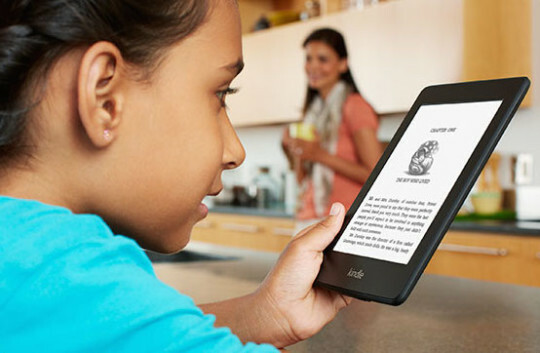 Benefits for Kindle owners need to be explained in more detail because there is some confusion that leads to expectations greater than the actual offer. Many customers confuse Prime with Kindle Unlimited, $9.99/month ebook subscription. Both services are subscription-based, and both are positioned as giving unlimited access. unlimited photo storage (Prime Photos). The service that lets Prime members save on Kindle ebooks has nothing to do with Kindle Unlimited. It’s called Kindle Owners’ Lending Library (KOLL). There are two things you need to know about it. 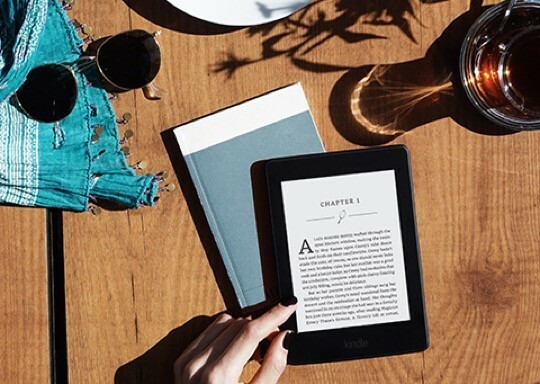 Within Prime membership, you are eligible to access the catalog of Kindle Owners’ Lending Library (over 1,000,000 titles) and borrow a Kindle book just like you borrow a book from a library. There is no due date. The book won’t disappear from your device in a few weeks, but only when you replace it with a new book. There is one limitation, though: you can borrow at most one book per month. So, even if you can read four books per month, only one of them can be borrowed from KOLL. 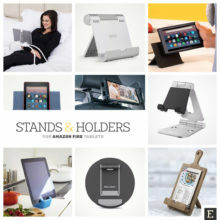 Kindle books can be read on Kindle apps for desktop computers, iPad/iPhone, or Android tablets and smartphones. 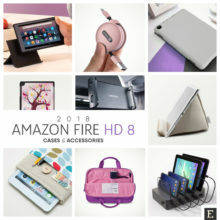 Fire tablet, like Fire 7 or Fire HD 8. If you are considering signing up for Prime because you want to save on buying Kindle ebooks, think twice. Maybe it’s better to go for Kindle Unlimited, as it gives more possibilities for avid book readers. When it comes to bestsellers, both KOLL and Kindle Unlimited are quite similar. Their catalogs contain over 1,000,000 titles but lack the books from the Big 5 publishers. 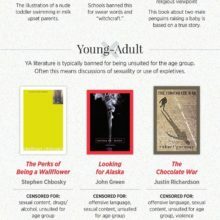 So, don’t expect you’ll be able to borrow Harper Lee’s Go Set a Watchman or Dark Places by Gillian Flynn. Instead, you’ll find here a lot of books from self-publishers, and titles published by Amazon’s own imprints – some are really good. Kindle Owners’ Lending Libray is not the only benefit for Prime members who like to read. If you join Prime, you will get an early access to Kindle First. 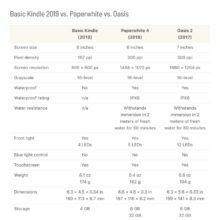 What is Kindle First? Every month Amazon editors pick up four titles and make them available in advance of their official release dates. 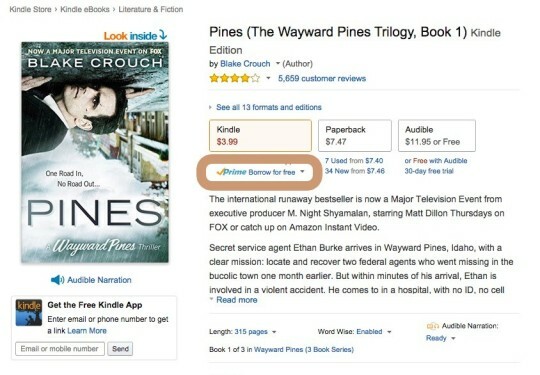 Regular Kindle users can buy one Kindle First book a month for $1.99. Prime members can get it for free. 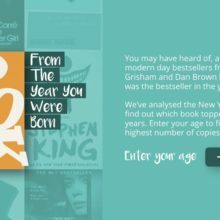 Prime Reading was introduced in October 2016. It gives a free access to a rotating selection of top Kindle books, magazines, and comics. 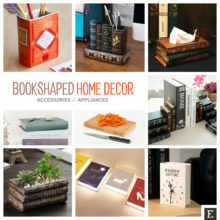 The list of Prime Reading titles includes over 1,000 items, including Harry Potter series, Hobbit, Kindle Singles from top-selling authors, and many more. Opposite to Kindle Owners’ Lending Library, you don’t need to have a Kindle e-reader or Fire tablet to enjoy the Prime Reading. The Kindle app on your iPad or Android tablet is enough. If you’ve just discovered the beauty of listening to audiobooks, you should get excited about free access to Audible Channels. Audible Channels is a short-form digital audio service curated by Amazon editors. The list of programs, lectures, and audio editions includes such top sources as The Wall Street Journal, The New York Times, or Harvard Business Review. As I earlier pointed out, this article analyzes Prime benefits available for customers in the U.S. shopping on Amazon.com. However, the service is available in other countries, as well. The list of features differs from country to country. In some countries, like the U.K and Germany, the members can watch unlimited movies with Prime Instant Video. In other countries (Spain or Italy) Prime is basically about free shipping. Before I share the list of Prime membership in different Amazon stores, let me highlight a couple of important facts for the customers of Amazon.com. Prime is only available for American residents with a credit card issued by the American bank. Even then you won’t fully use Prime from outside the U.S. The free two-day shipping is obviously out of the question. Plus, you may have problems watching Prime eligible movies in a location different than the continental U.S. This is due to geographical restrictions required by movie distributors. How to find Prime eligible items on Amazon? Before joining Prime, it’s good to spend some time browsing Amazon for the product you are willing to buy that are included in the Prime portfolio. So, is it difficult to find products that qualify for Prime benefits? Not at all. Amazon makes a lot of efforts to clearly highlight Prime items across the store. When you browse Amazon website, you’ll see Prime logo everywhere. On search pages, the logo appears next to item’s price. This is very useful because for Prime members eligibility becomes one of the essential factors in deciding which product to buy. Here is the example of search results in Amazon Instant Video department. The prices start at $0.00 because for Prime members the videos are free to play and download. And here is the example of Prime-eligible items in Electronics department. Prime items qualify for free two-day shipping. It’s more complicated on single product pages. Generally, the Prime logos appear on pages of digital items, like videos, songs or ebooks. Here is the product page of a Kindle ebook that is included in Kindle Owners’ Lending Library. Under the price of the Kindle edition, you’ll see a small Prime logo with a “Borrow for free” text that links to info about Kindle Owners’ Lending Library. Some time ago the Prime logo appeared also on product pages of physical items. 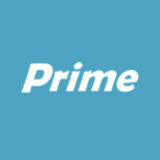 The Prime logo was seen next to item’s price. There was also a widget explaining the benefits of Prime membership. To celebrate 20th birthday, Amazon launched Prime Day on July 15, 2015. It was a vast one-day promotional event offering more deals than last year’s Black Friday. The most unique thing about Prime Day is that the deals were available only for current and new members of the program. Prime Day is not a one-day event any longer, and members can grab exclusive deals already a few days earlier. It’s good to keep in mind that a Prime member can save more money than it needs to pay for a yearly subscription. Just one example. 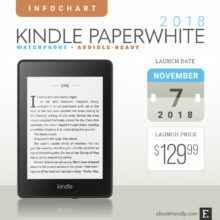 The basic Kindle is usually offered for $49 instead of $79. Buying this single product only decreases the cost of Prime subscription by one-third. But there is one thing to remember: when you join the program during Prime Day, you won’t enjoy the 30-day free trial. You’ll need to pay right away the selected fee to enter the deals. What’s the best time to join Prime? You can join Amazon Prime any time you want. However, there are some circumstances when signing up for the program is more justifiable. Here are the three scenarios. The best approach is to analyze your own needs and shopping plans. If you are planning to buy a considerable number of goods in the near future, it’s good to consider joining Prime to reduce costs. For instance, a start of the new season of your favorite TV show is good enough for a start. Or when you plan to shop for several goods but don’t want, or don’t have money, to pay for them at once. Instead, you can buy one item at a time, and save on shipping via Prime. There is one thing to keep in mind, though: not every item on Amazon is Prime eligible. Although 20 million looks enormous, there might be products you want to buy that do not qualify for Prime shipping. The same with movies, songs or ebooks – especially that digital collections of Prime-eligible goods are rather small. I therefore strongly advise spending some time on finding out whether the goods you are going to buy are Prime eligible. Even if you don’t have very specific shopping plans, pre-Christmas is usually a time when you’ll buy a lot of goods. Signing up for Prime before Christmas, or even earlier – before Black Friday – will surely let you save a lot on shipping. Add a couple of family movies watched during Christmas time, and the cost of the membership can be quickly balanced with savings. Pre-Christmas time is pretty hectic. On the other side, signing up for a yearly subscription needs some time to analyze all the pros and cons. Holiday time is when you have time and make plans. Sounds like a good reason to explore Prime and decide whether it suits you at all. When you add what you missed by not being a program’s member during Prime Day, you’ll find out going for Prime in early summer is a good idea. Best of all, the coming Christmas falls into the same subscription year, so you’ll have not one (Black Friday) but two chances to benefit from good deals. For many years, Amazon Prime was offered with a 30-day free trial. New users were given most of the program’s features without the need to pay for the yearly membership. 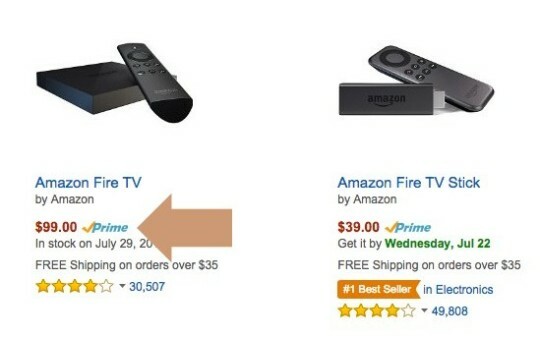 This has changed before Prime Day 2015. 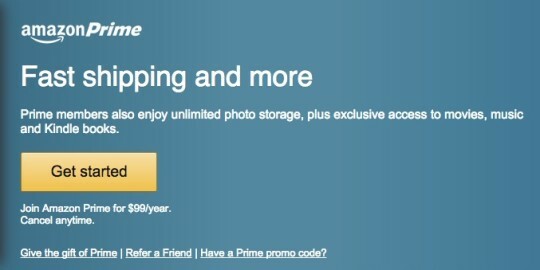 Amazon still prompts to “try Prime,” but this doesn’t mean free trial. I can understand why the free trial was removed for Prime Day. A single person could make savings by accessing Prime-eligible deals for a value much higher than a yearly subscription and cancel the membership the day after receiving all ordered products. Without the free trial, the terms of membership cancelation become extremely important. You can cancel Prime any time from within your Amazon account. If you cancel within 3 business days of signing up, Amazon we will refund the full membership fee. However, if you, for instance, watched a Prime-eligible movie, you may be charged the full price for its rental. There is also a chance to get the full Prime fee back after these three first days – on the condition you have not made any eligible purchases or taken advantage of Prime benefits. Subscription services that can be shared with family are increasingly popular. Prime offers this feature too. The cost of $100 is easier to swallow if more than one person can benefit from it. 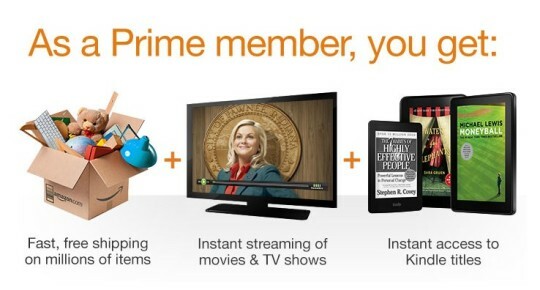 With Prime offering plenty of services (free shipping, video streaming, music, Kindle ebooks), the membership sharing seems very promising. Well, it’s not that profitable, in the end. You can invite four members of your family, living at the same address as you, but their access to Prime membership benefits are quite limited. Yes, you can share shipping benefits so that every Prime eligible item ordered on Amazon reaches your household at no extra cost. However, how many times this would be used? Definitely, when family members want to give you a gift, or when your spouse makes a majority of online shopping, and you don’t want to bother about it. Do you see other suitable situations? When it comes to digital content (movies, music, ebooks), it’s even less attractive. First, Prime Instant videos and Kindle Owners’ Lending Library books can be only shared with family members who are adults. Sharing Prime membership with your teenage daughter to let her read YA novels? This can’t happen. The promise of sharing digital content is mostly about avoiding synchronization and access limit issues. Two family members should be able to read the same book or watch the same movie at the same time because they are using two Amazon accounts, right? Well, in case of the Kindle Owners’ Lending Library there is still one ebook Prime member can borrow at the time. So it’s either you or your spouse, not both. To ease the pain of spending $120, there is a financial incentive that doesn’t require a lot of effort. You can recommend Amazon Prime to your friends. For every customer who joins Prime following your link, you will earn $5 – after the new member makes a purchase of at least $5. The credits earned from referring Amazon Prime won’t be applied to your gift card balance. Instead, they will be automatically applied to your purchases of any item sold and fulfilled by Amazon. Each credit is valid one year from the date it appeared in your account. You can refer Amazon Prime be sending an email (up to 5 email addresses) or via Facebook. Prime is not a single-feature subscription service. It seems to be its biggest benefit because you don’t have to be a heavy user in any of the offered areas to break even and start making savings. $119 a year is $9.91 a month. Let’s compare it to Kindle Unlimited, with a monthly fee of $9.99. It pays to enter Kindle Unlimited if you are a book lover, who reads on average a few books per month. “A few items a month” is the same rule with other kinds of digital content. With video on demand subscription, you’ll need to watch a few movies per month. With music subscription – listening to a few albums a month. When you have Prime, you don’t need to heavily consume goods in a single category in order to break even. 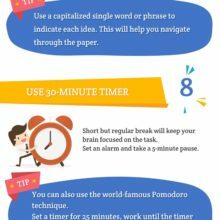 Instead, you can benefit from using a combination of various features. Prime is clearly designed for customers with moderate needs in several areas. Let’s go through a couple of calculations. To get free shipping on Amazon, you’ll have to collect in the basket eligible goods worth at least $35. Still, they won’t be delivered within two days. With Prime, you can buy any Prime eligible item, and you’ll have it shipped for free in two days. 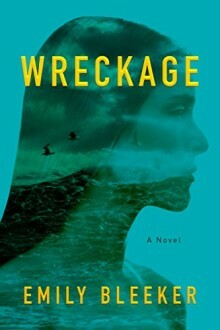 Let’s say you want to buy Wreckage by Emily Bleeker. The paperback costs $7.48. If you have a Kindle e-reader or Amazon Fire tablet you may want Wreckage as an ebook. Its price is $4.99. This ebook is included in the Kindle Owners’ Lending Library, so you’ll be able to borrow it via Prime. You’ll save $4.99 but remember: Prime members can borrow only one Kindle book per month. You won’t make any extra savings on Kindle ebooks this month. If the Kindle book costs more than $9.91, you’ll break even by borrowing just this one book. Well, this is more of a theory because there are not many that expensive Kindle ebooks in the Kindle Owners’ Lending Library. Renting movies is another area where you can make clear savings. Let’s say you want to watch the new season of Downton Abbey. Watching four episodes in four consecutive weeks in standard quality (4 x $1.99 = $7.96) already pays for your monthly Prime cost of $9.91. It’s good to keep in mind that one of the Prime plans allows you to subscribe only to Prime Video, for $8.99 a month. Want to watch any of the previous seasons of Downton Abbey? The entire season in SD quality costs $14.99. If you have Prime, you keep about $5 in your pocket. As I already explained, Prime is a perfect solution for customers who occasionally shop in different sections of Amazon. Amazon offers a special variant of Prime membership that’s addressed to students. In terms of money, the conditions are much better than for regular customers. 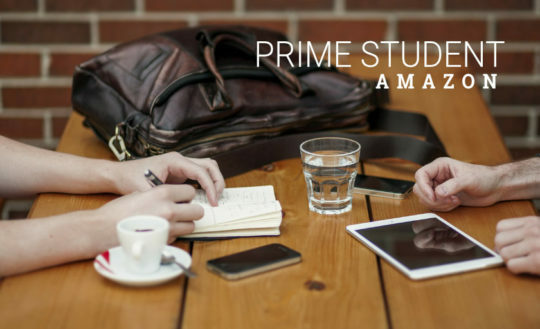 If you enroll join Prime Student, you will have a longer free trial period and pay a lower subscription fee. To be eligible for Prime Student, you have to add the .edu email address in your Amazon.com settings, and after signing up to Prime Student, you’ll need to verify your enrollment via this email address. The regular customer can try Prime membership for 30 days free of charge. After that time your credit card will be charged with a fee. 30 days is long enough to explore all the benefits of the membership, but students can enjoy the free trial for five more months, thanks to the support from Sprint. In other words, you free trial period lasts six months – the first payment is due half a year after you joined the program. When on the free trial, you won’t have access to all the features, but the free two-day shipping and unlimited access to Prime video is here. As you know, the regular yearly fee for Prime membership is $99, If you are a student, you’ll pay half of the price. You will be eligible for the discount for four years or until you graduate, whichever comes first. After you graduate (and unless you cancel), your subscription will automatically renew into a regular subscription for Amazon Prime. Below you’ll find useful links that will let you better understand benefits and limitations of Amazon Prime. Amazon Prime sign-up page – if you decide to join Prime, you can sign up here. To get more articles like this, please subscribe by RSS or email. Let’s also connect on Facebook, Twitter, and Pinterest.